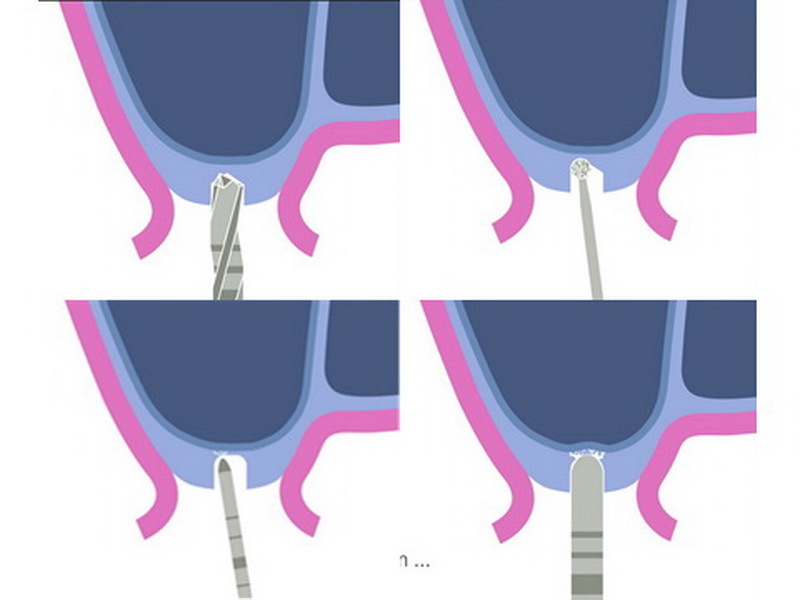 The transcrestal sinus lift shown here only has the crestal access in common with the classical Summers technique. The Summers technique is invasive and uncontrolled: hard hammer blows compress bone and press it into the sinus. 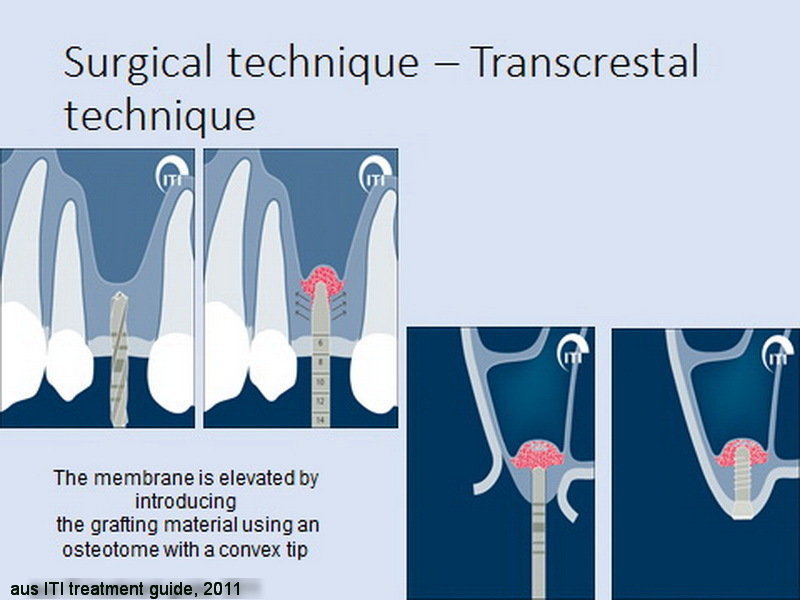 In the presented transcrestal sinus lift method the osseous access is made in a minimally invasive and controlled manner like opening with the lateral fenestration technique.